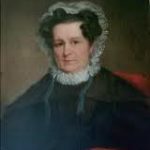 Wife of American Patriot William Dawes, Jr.
Mehitable May was born in Boston, Massachusetts, on August 6, 1751, to the well-respected family of Samuel and Catherine May. 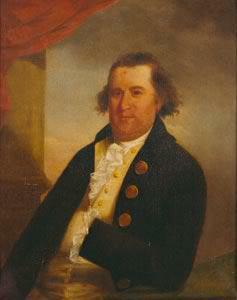 William Dawes, Jr. was born in Boston on April 5, 1745, to William and Lydia Dawes in Boston, Massachusetts. He was a fourth generation descendant of the first Dawes in America, who came to Boston in 1635. William Jr. became a leather tanner and tradesman, and was active in Boston’s militia. Dawes is credited with planning and carrying out the surreptitious capture in October, 1774, of two cannon stored in a gun house on Boston Common and guarded by two British grenadiers. He and his mates carried the cannon out a back window and hid them in a schoolhouse until they could be moved to a more secure place. While moving the heavy guns, Dawes suffered an injury to his arm and was treated by fellow patriot, Dr. Joseph Warren. Dawes was an active Patriot; he collected intelligence on the British, sometimes acting the part of a bumpkin. He sometimes drank a pint and listened to conversations in the tavern, or wore a floppy hat while making his way slowly down the road on horseback. Despite the risk, Mehitable proudly supported her patriotic husband. 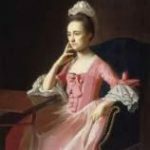 In the spring of 1775, the most active Patriots in the town of Boston were John Adams, Samuel Adams, John Hancock, and Dr. Warren. By April, they knew that British General Thomas Gage’s next target was a sizable store of arms and powder at Concord, about twenty miles from Boston. On April 18, 1775, the Patriots learned that British troops were about to set out for Concord under cover of darkness. They also feared that the British might make good on their vow to capture Hancock and Samuel Adams, who were then staying at Hancock’s childhood home in Lexington, on the road to Concord. Dr. Warren summoned Dawes at 9:00 pm on April 18, and assigned him to ride from Boston to Lexington to warn John Hancock and Samuel Adams – then staying at Hancock’s boyhood home in Lexington – that they were in danger of arrest. Dawes was a good choice to get the message through. He had just turned thirty, and lived in the North End with his wife and growing family. He had a reputation as a stout fellow who didn’t take any guff – he once pushed a British Redcoat who made an inappropriate remark towards his beloved wife Mehitable. Another thing worked in Dawes’ favor. His leather tanning business had frequently taken him through the narrow strip of land called Boston Neck that connected the then-peninsular city of Boston to the mainland town of Roxbury – the surrounding land was gradually filled in as Boston expanded in population. The British officers guarding the gate there were familiar with Dawes – they were unlikely to stop him. Shortly after the sentries allowed Dawes to pass, orders arrived from British headquarters halting all travel out of the city. On that clear, moonlit night, while Revere rowed towards the horse awaiting him in Charlestown, Dawes was riding through Roxbury, Brookline and on to Cambridge. Still evading British patrols, Dawes continued on through Menotomy, where he met the road from Charlestown to Lexington and Concord. He had to proceed cautiously; had he been caught, his mission would have been considered treasonous, he could well have been hanged for it. Dawes arrived at the Hancock-Clarke House in Lexington, after midnight, a half hour later than Revere, who had a shorter route. Hancock and Adams soon left Lexington, roamed around Massachusetts for a while, then went on to Philadelphia to attend a meeting of the Continental Congress. 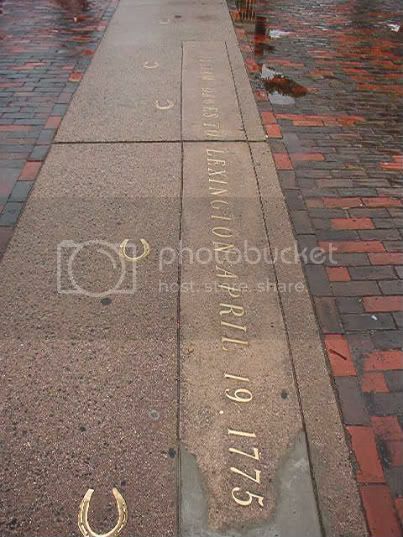 After resting for a short time, the Dawes and Revere mounted again to ride on to Concord. The Congress had stored munitions there, including the cannon Dawes had helped to secure. Along the way, the two men met Dr. Samuel Prescott, a young physician and a fellow Patriot, who was returning to Concord after visiting his girlfriend. They quickly established that Prescott shared their resolve to thwart the British, and he joined them on their mission. A squad of mounted British officers waited on the road between Lexington and Concord, and they called for Dawes, Revere, and Prescott to halt. But the three were not about to yield so easily, and they suddenly charged off in different directions, hoping one would escape. The quick-witted Dawes decided to try a ruse. With two Redcoats in pursuit, he galloped up to a vacant farmhouse, stopping his horse so quickly that he was thrown to the ground. He jumped up and yelled as if to sympathizers in the house, “Halloo, boys, I’ve got two of ’em!” Fearing that they were about to be confronted a large number of angry Colonials, the soldiers galloped away. Dawes had hit the ground hard, losing his horse as it galloped into the darkness. Tired and hurt, Dawes’ ride was over. He limped back to Lexington, keeping in the shadows and out of sight. According to family lore, he retraced his steps several days later to recover the watch he had lost in the spill. Paul Revere was later captured and his horse seized, though he finally escaped and made his way back to Lexington. It was left to Prescott, the local boy with his superior knowledge of the terrain, to make his way to Concord and spread the alarm. William Dawes’ Ride is commemorated at a traffic island in Harvard Square in Cambridge, Massachusetts, known as Dawes Island. The horseshoes represent Dawes’ gallop through Cambridge on April 18, 1775. The timely warning by the Midnight Riders had given the Lexington militia sufficient time to muster and prepare for the first forced battle between the British and American troops, making it the first battle of the Revolutionary War. The British troops did not find most of the weapons they had marched to destroy and sustained serious losses during their retreat to Boston under guerrilla fire. The first shots of the American Revolutionary War were exchanged at Lexington. The British force from Boston, some 800 light infantry troops, had reached the town at about 4:00 am on April 19, 1775. At Lexington Common, the jittery British faced some 500 colonial militia that had by that time responded to the alarm. Who fired the first shot will never be known. When the shooting stopped, the British had just one wounded, but the Colonial suffered eight killed and nine wounded, most while trying to withdraw from the confrontation. The British continued their march to Concord, where sharper fighting developed later in the morning, and the colonists’ resistance clearly passed over to open rebellion. The outraged colonists forced the British to turn back. On their retreat back to Lexington, the exhausted, disorganized and demoralized British would have been thoroughly routed but for the arrival of British reinforcements with artillery. By the end of that day, the British had failed utterly in their goal to seize military stores at Concord. 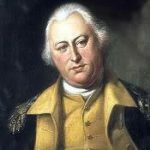 Dawes joined the Continental Army during the siege of Boston, and he fought at the Battle of Bunker Hill on June 17, 1775. He was awarded a commission as commissary, or supplier of provisions, to the army. He divided his time between Boston and Worcester, where he had taken his family for safekeeping. After the war, Dawes moved to Marlborough, Massachusetts, and became a successful grocer, but his health was poor. Mehitable May Dawes died in Boston on October 28, 1793, at the age of 42. William Dawes remarried two years later, but named their firstborn daughter of his new wife Mehitable. William Dawes died in Marlborough, Massachusetts on February 25, 1799. In 1899, the Massachusetts Society of the Sons of the Revolution, during a period when that organization was zealously marking graves of patriots, including Samuel Adams and the Boston Massacre victims, placed a marker on the Dawes Tomb at King’s Chapel Burying Ground. In 1901, the City of Boston added William’s name to a plaque on the cemetery gates that lists the eminent persons buried within. William Dawes was never buried there. However, it was recently discovered that Dawes was originally buried alongside his darling Mehitable, in the May family plot at the Central Burying Ground in downtown Boston. In 1848, the May family established Forest Hills Cemetery in the Jamaica Plain area of Boston, and built a new family tomb there. In 1882, they transferred the remains of 31 individuals, including William and Mehitable May Dawes, from the Central Burying Ground in 1882. There are no individual markers there. Who’s Buried in Dawes’ Tomb? In 1860, Henry Wadsworth Longfellow wrote his historically inaccurate poem, Paul Revere’s Ride, which focused entirely on Revere. William Dawes is often referred to as the Other Midnight Rider. The following poem by John Hermanson, a parody of Longfellow’s, remembers the events of the day and salutes the unsung heroes William Dawes and Mark the Slave. On the eighteenth of April in Seventy-five. Remembers Dawes’ name before Paul Revere’s. With Otis and Adams and Hancock and all. They would meet in Dawes’ garret awaiting a call. Mehitable May – he married well. Billy crossed over the neck ‘most every day. He drank with the guards at the Boston Gate. They’d let him pass through even when it was late. On the Nineteenth those canons brought Patriots’ glory. One night, the Sun Tavern where drunk, Brits caroused. Was he spying on Lobsters? Or was he but soused? The Redcoats were marching on Concord in force. When brave Joseph Warren at last gave his call. And bring back the cannons from Waltham tonight. We’ll use them to give those damned Redcoats a fight. And Dawes would ride through Roxbury. Then on to the Gate to Boston Neck. “Who goes?” the British sentry cried. “Tis I, old buddy,” young Billy replied. “The gate is closed” the sergeant said. Past the wilds of the Neck, past George Tavern, Dawes rode. To every Norfolk and Suffolk village and farm! To the right, Muddy river, then on to the Charles. To cut off a British retreat in their ranks. Today mark the route to Menotomy’s past. Revere got to Lexington faster than Dawes. To seize Paul Revere and to give Dawes a chase. Billy gave them the slip and was soon in the clear. Thus the Adams and Hancock came back to Great Bridge. Turned the flank of British defeat to a rout. Then how to judge Revere and Dawes? And How to judge their rides and deeds? But also symbols of flaws. Who would seek their own freedom from order and law. For freedom beyond what they rode tonight. Let us honor Revere, then, deserved of his fame. Let us honor Bill Dawes, ‘least remember his name. While the other two lived to look back on their ride.